For years, heath experts have been touting the benefits of fats from fish, and rightfully so. Fish and other seafood are considered the best source of fats from the Omega-3 family, which includes the fatty acids EPA and DHA. 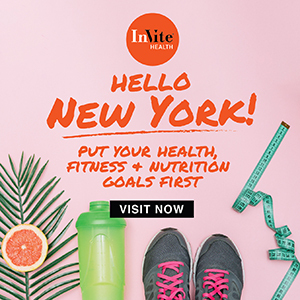 Most people do not get nearly enough Omega-3 fats in their diet, and as a result, miss a significant opportunity to protect their heart, brain and manage inflammation throughout the body. Most people also eat a disproportionate amount of Omega-6 fats, which are already plentiful in our diets. Poor quality diets loaded with processed foods tend to be excessive in Omega-6 fats, like corn, canola and soybean oil, margarine, mayonnaise and shortening. There are some critical differences between fish oil and krill oil that make krill stand out as a superstar. Absorption. Krill oil is simply much more bioavailable than traditional fish oils, which first require the liver to free the fatty acids from their triglyceride base and then add phosphorus so our cells can utilize it. Krill oil also has a natural protector built right in, in the form of a very powerful carotenoid and antioxidant called astaxanthin. Fish oils and unsaturated fats in general are vulnerable to oxidation and rancidity, but the astaxanthin protects the krill oil. Antioxidant Protection. Astaxanthin is one of the most powerful antioxidants that have ever been measured, and it is also what gives krill oil its red color. This amazing antioxidant is one of the most effective neutralizers of free radicals and oxidative damage. 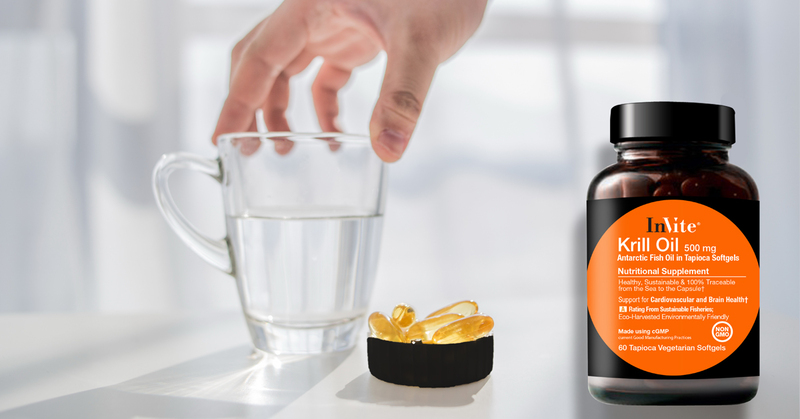 It is 550 times more powerful than Vitamin E, and 6,000 times more powerful than Vitamin C.7 Krill oil also provides the naturally occurring B-vitamin choline, which becomes acetyl-choline. Acetyl choline is essential for memory and brain function, liver health, nerve communication and muscle function, including healthy heart muscle function. Lacking choline in the diet sets the brain and more specifically memory function to deteriorate yet the NHANES Survey indicates that 90% of all Americans do not obtain sufficient Choline from the diet. 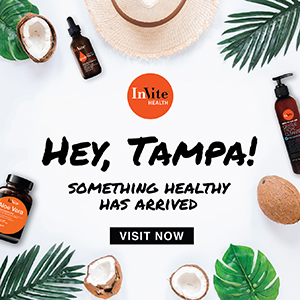 The InVite® Difference – New Tapioca Vegetarian Softgel Capsules! Antarctic-sourced Krill is a shrimp-like crustacean that supplies EPA and DHA, supporting cardiovascular health, including circulation and blood fats already within a normal range and brain health, including memory. Supplies substantially more Choline for memory and Phosphatides for memory and heart health, in comparison to InVite® Krill Oil Advanced. 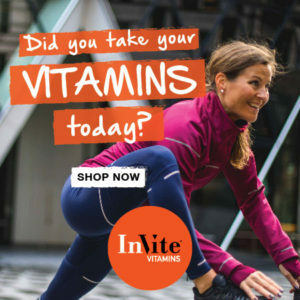 What Take InVite® Krill Oil 500MG Supplement? Questions about our New Krill Oil Supplement with Tapioca Softgels? Leave a comment below to join the conversation! Could A Zinc Deficiency Play A Role in High Blood Pressure?